No matter what your opinion is on the current state of hip-hop; whether we are in the ‘golden era’, or the ‘trash era’, one thing is for sure – hip-hop displays a fondness for literary devices, specifically that of simile’s and metaphors. Thinking about it, no other genre uses as much different metaphors & simile’s throughout a song – though, the abstract depth and reasoning behind the literary devices may vary across genres. Which is why, to ‘get’ hip-hop; you really have to listen and have knowledge to comprehend what the rapper is talking about – well, that used to be the old rules. Here is where it gets murky (in my opinion), metaphors have an edge over simile’s in that it requires more thought and knowledge to process – a simile just likens object A to object B, and usually uses the operand word ‘like’ to indicate the comparison. 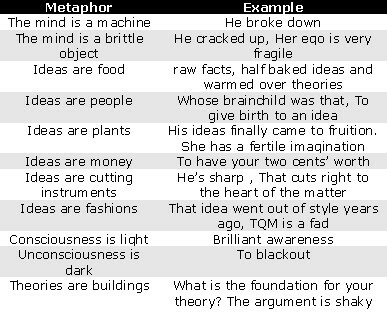 Whereas metaphors those the same thing almost, except the objects are concepts, which when it is compared, creates new meanings and inferences. The underground rappers are known to favor the frequent use of metaphors in their songs – while mainstream rappers do not use them as much. Some difficulty with these popular usages of simile’s are that one has to understand the reference – that reference is usually from pop or hood culture, but besides that, nothing else. And maybe, that is what music should be – a passive experience that is soothing, relaxing, comfortable. Because I mean, after a long day of work/school, do you really want to explore abstract concepts and ideas? I mean, that is like running a track backwards in a race – you will always lose, right? Good to hear some lyricism and conscious rhymes originating out of the South; helps spread the notion that the South is more than just ‘club/party’ music of dumbed-down lyrics and a catchy beat. Fast forward to an artist named Dee-1 as he makes some solid points of the behaviours of hip-hop’s biggest stars; 50 Cent, Jay-Z, and Lil Wayne. So I guess the underground rappers and MC’s need to make tracks like these in order to get that ‘crossover’ appeal; can’t really hate on this song as its crafted well, and goes to show that there may be a market for the ‘Adult Contemporary Hip-Hop’ aficionado.